The U.S. House of Representatives is expected to vote next week on a bill that would eliminate the estate tax. Currently, the United States has the fourth highest estate or inheritance tax rate in the OECD at 40 percent—nearly three times the OECD simple average of 15 percent. Despite its high tax rate, the U.S. estate tax accounts for less than 1 percent of total federal revenue. In 2014, the estate tax raised $19.3 billion according to the OMB, or 0.6 percent of total federal revenue of over $3 trillion. Estate tax revenue has dwindled in recent years. Its share of total revenue is down from about 1 percent in 1990. This is partially due to a continual increase in the exemption, which is up to $5,430,000 in 2015. 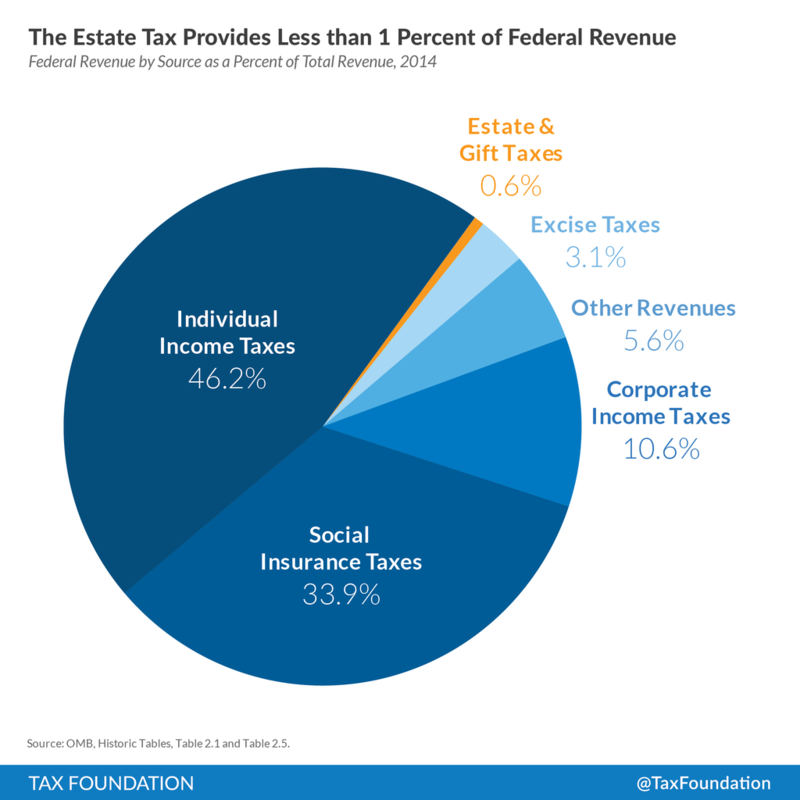 Due to the increasing exemption, a small number of estates actually pay the estate tax. Despite only a small number of estates actually paying the tax, many estates face administrative costs associated with planning around the tax. The economy experiences lost investment due to the tax. Many countries have moved away from the estate tax as they recognize the lack of revenue the tax raises relative to the administrative and economic burden it creates. Since 2000, seven OECD countries have repealed their estate tax. Additionally, four other countries and two tax jurisdictions have eliminated their estate or inheritance taxes. In all, 15 OECD countries go without an estate or inheritance tax. Following lead of these other countries would be good for economic growth. According to our Taxes and Growth Model, estate tax elimination would increase the size of the economy by 0.8 percent, boost investment by 2.2 percent and lead to 139,000 new jobs.